I am super tired and sore today. My work sponsored a Relay For Life team and our event was last night. So I did lots and lots and lots of walking. I ended up getting home after 4:30 this morning and then had to wind down to go to sleep. We raised a fair amount of money and we had a good turnout. 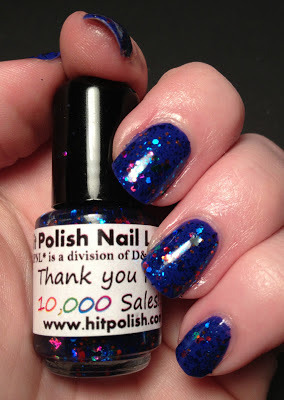 In celebration of 10,000 sales, Hit Polish created a Thank You polish that was sent out with orders when I placed my last order. 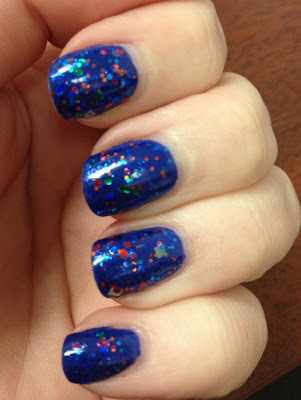 It is a beautiful glitter bomb that is mainly blue with pops of other color in it. Blue, green, red and orange hexes in different sizes and even some holographic squares in there. As with every other polish from them I have tried it applied effortlessly. The photos below are shown two coats of Thank You over two coats of Sinful Colors My Buoyfriend. I used Orly Bonder as my base and topped with with my usual HK Girl topcoat. Note: I am not sure why my skin tone looks this way in these pictures. I do NOT edit the coloring on my pictures. The color of the polish is correct so I was not about to touch the coloring. My lighting set up and my hand must have not been getting along. This was such a beautiful combo! What do you think? 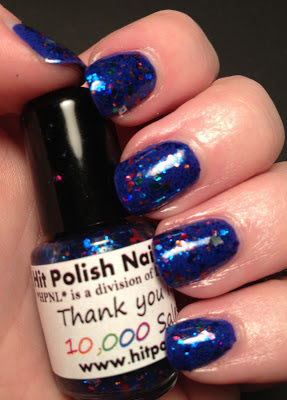 Are you going to snag some beautiful Hit Polish? Thank you, I was automatically drawn to blue. I don't know what else I would have used under it, suggestion? So pretty & congrats on surviving the Relay! Beautimous blue! I hate when the camera makes your skintone all wonky! I have been fighting weird skin tone for a couple posts now. 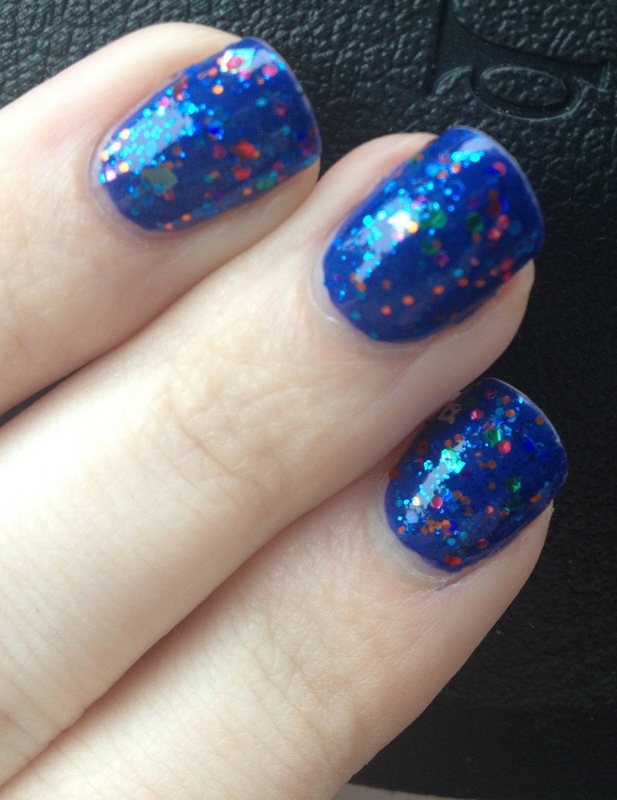 But I hesitate to change it because I don't want to alter the color of the polish if that part is already true.